The Library of Annoor Dental College & Hospital is located on the Second floor of the college building. It provides study and research facilities for the Faculty of Dentistry and the Basic Medical Subjects. The Dental Library maintains extensive collections of books and journals for all the related subjects. The college has an excellent Health Sciences library with state of the art facilities. The library has been carefully planned to have more space & natural lighting for the comfort of students. The library is well equipped with different resources. It has an undergraduate section which has a capacity to accommodate minimum of 150 students and a postgraduate section which can accommodate minimum of 60 students. 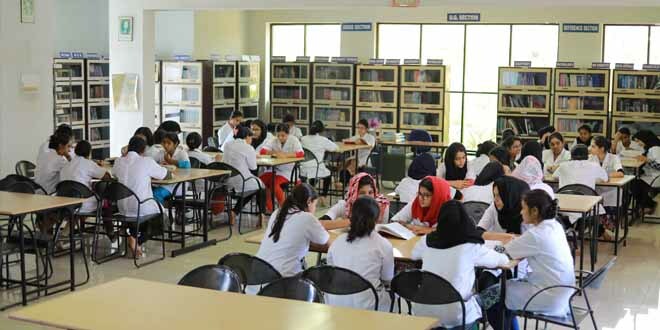 The library has more than three thousand books in circulation section and library also has reference collections on Dental and Medical subjects.